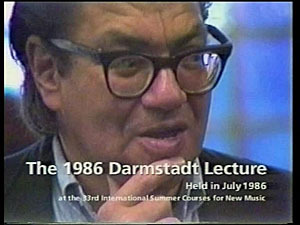 On 24th July 1986, Feldman gave a lecture at the 33rd International Summer Courses for New Music in Darmstadt, Germany. The lecture was recorded by Günter Woog. Excerpts from the lecture, plus additional footage of Feldman and a short excerpt from the premiere by Eberhard Blum and Nils Vigeland of Feldman's For Christian Wolff, have been issued as a short film by Feldman's publisher, Universal Edition. A short clip from the beginning of the lecture is shown here. 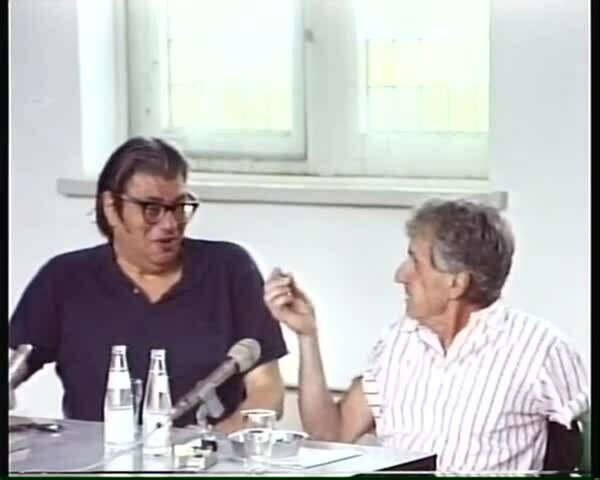 click image to view clip The full film Morton Feldman: The 1986 Darmstadt Lecture (Universal Edition [UE 45010V], 1997, 22 min, colour) is available from: Universal Edition. A transcript of the complete 1986 Darmstadt Lecture can be found here. 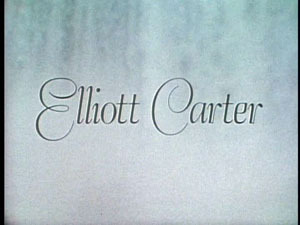 In October 1979, Elliott Carter visited the State University of New York at Buffalo for a concert of four of his works. A film of the visit was made by D. A. Pennebaker and Chris Hegedus. During the visit, Feldman, who was Professor of Composition in the Music Department at the time, invited Carter, the pianist Ursula Oppens and the other guest musicians to a dinner party at his apartment. Filming went on at the party and a short fragment of conversation between Feldman, Carter and Oppens is included in the final film. This short clip is shown here. It is the only sequence in which Feldman appears in the film, which primarily focuses on Carter and the rehearsal and performance of his pieces. click image to view clip The full film Elliott Carter at Buffalo (Pennebaker Hegedus Films, 1980, 45 min, colour) is available from: Pennebaker Hegedus Films. A transcript of the conversation can be found here. 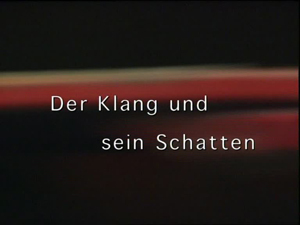 Morton Feldman: Der Klang und sein Schatten (Klaus Voswinckel Filmproduktion, 1999, 59 min, colour & b/w) is a German documentary film by Klaus Voswinckel, first shown on German television in 1999. The programme includes three short clips, with German subtitles, of Feldman lecturing from the film Morton Feldman: The 1986 Darmstadt Lecture. Filmed in New York and Berlin, there are extensive interviews with Siegfried Mauser, Nurit Tilles and Robyn Schulkowsky, and short excerpts from filmed performances of Palais de Mari, For John Cage, Intermission 6, The King of Denmark and Neither. For more information about this documentary, visit: Klaus Voswinckel Filmproduktion.